Hand pruning saws are useful for cutting back larger tree branches that hand pruning shears and loppers just aren’t big enough to handle. In most cases, depending on the length of the blade, they will cut anywhere from 5″- 10″ thick branches without issue. They come in two main types, folding and fixed. Folding saws fold up into their handles to protect the blade and teeth from knocks during transport & storage. Of course, they also ensure the teeth are kept away from you too. Folding saws are not only great for pruning around the garden, but they’re very useful for taking camping, hiking or hunting due to their light weight and compact design. Fixed saws have blades that are fixed into place on the handle and don’t fold away. As a result they’re not really suitable to take camping due to their size, but they will usually come with a protective sheath for safe storage. 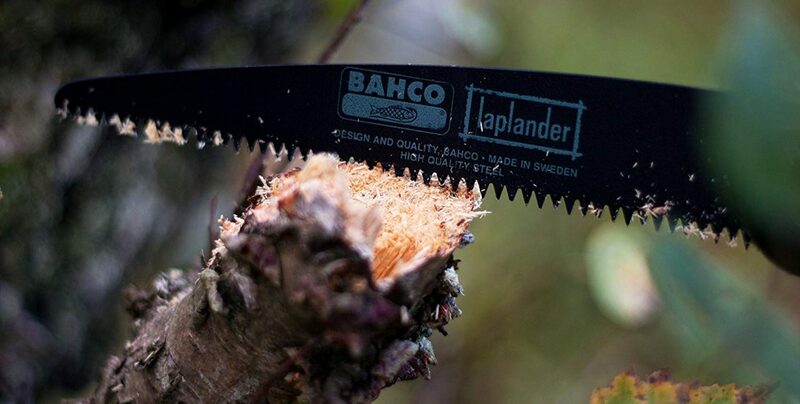 The Bahco 396-LAP Laplander Folding Saw is not specifically a pruning saw, but rather an all purpose folding saw useful for many outdoor activities (including pruning around the garden). It’s listed here as it’s an extremely popular hand saw with more than 80% of customers rating it 5 out of 5 stars, with an overall satisfaction of 4.7 out of 5. So it’s a pretty popular and very well received hand saw, especially given the price. It can be used for cutting both green and dry wood, plastic or bone, and given its portable size and cutting power is very popular with wildlife enthusiasts such as hunters and campers. It is light weight and compact, making it an ideal saw to tuck away in a backpack for camping trips. 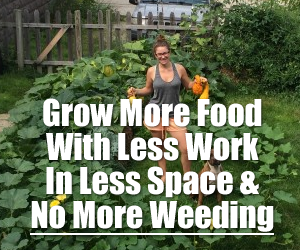 If you’re going to purchase a quality hand saw for pruning around the garden, you might as well get one that is highly useful for other tasks too. 3 SIDED RAZOR TEETH FOR EFFICIENT CUTTING: 10" blade is ideal for cutting 5" - 6" diameter, small to medium, branches. ERGONOMICALLY DESIGNED, COMFORTABLE, CO-MOLDED HANDLE: Provides a comfortable grip for extended use. 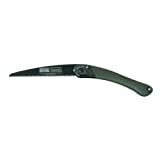 EASY TO LATCH BLADE PREVENTS INJURY WHEN NOT IN USE: Folding blade is curved, taper-ground, and replaceable. IMPULSE HARDENED TEETH FOR LONG SERVICE LIFE: Extends the life of the tool season after season. UP TO 6 TEETH PER INCH AND CURVED BLADE DESIGN FOR FASTER CUTTING: Cuts are smoother and quicker than a tradtional saw. The Corona RazorTOOTH Folding Pruning Saw is a professional pruning saw for dealing with thick tree branches. It has a 10 inch blade that is ideal for cutting branches around 5″-6″ in diameter. The curved taper-ground blade is made from impulse hardened steel for longer life and to help keep it’s 6 teeth per inch sharper for longer. It’s teeth are also 3 sided for more efficient cutting and this pruning saw cuts on the “pull” action. 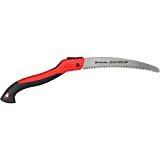 #3 Heavy Duty Pruning Saw (RAZOR SHARP 14" CURVED BLADE) Comfort Handle with Saw Blade Enclosure - Japanese Style Hand Saw - Perfect for Trimming Trees, Plants, Shrubs, Wood, and More! 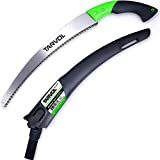 The Tarvol Heavy Duty Pruning Saw is a fixed blade (non-folding) 14″ Japanese Style pruning saw designed to cut larger tree branches up to 8 inches thick. It’s curved blade has razor sharp teeth at 7 teeth per inch and it cuts on both the “push” and the “pull” stroke to make cutting through branches much easier and more efficient.